Crème Fraîche is an odd name for…actually, what is this? Find out here. Another edition of the newsletter that curates interestingness is here! As usual, I’ve a aimed for a mix of randomness peppered with information that will pick your curiosity. This issue is also the most visual to date — you’ll see a couple of infographics, and a couple of photo essays. Hope you like it and as always I am very much looking forward to your comments and (constructive) criticism. And if you do like the newsletter, why not sign up to get it your email? The registration form is here. Not really a blogpost, but a while ago I took some time to make a Twitter list collecting all organizers and speakers at Conversion Conference London. I am expecting a really information-packed event with opportunities for many great learnings. No matter whether you’d have the chance to be at ConvCon, you can be part of it by following the Twitter list. How long is the optimal blogpost? Medium took the time to crunch the numbers and find out what’s the optimal post length (in terms of reader engagement). It’s 7 minutes. They also took the time to present their findings in a lenghty(-ish) blogpost. It will take you 6 minutes to read. Coincidence? Buffer and SumAll have teamed up to produce a great infographic with optimal character/word length for updates on all popular social media sites. It’s also great as a cheat sheet/reference card. Save it to a Pinterest board (like I did here) and refer to it whenever you need to. Another infographic, this time by Neil Patel, outlining a number of great strategies to attract and keep readers, build your email list, and get traction overall for your blog. One in the self-improvement / life-hacking category and also quite important. The importance of sleep for your productivity, well-being and happiness has been scientifically proven in many studies, but getting a good night’s rest tends to be elusive sometimes. This article may help you find some solutions if you have troubles falling asleep. Globe-trotter Nate Robert found inspiration in the immensity of Bulgarian communist-era monuments. Some of them are so pompous as to look alien. So that’s it. I hope you liked the selection and I will really appreciate it if you share your thoughts in the comments section below. 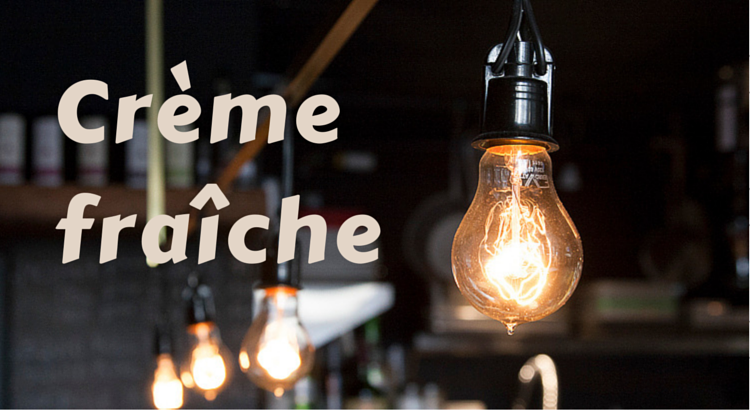 Also, don’t forget that you can subscribe to receive Crème Fraîche in your email inbox.